SEO Trick You have to Avoid | PBSMLINKS | A Complete Information Sharing Portal!! 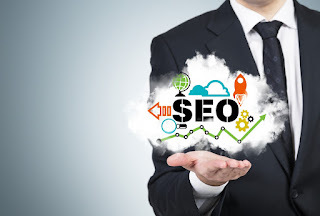 After i write some SEO blogging tricks in my previous blog posts, i think it’s time to discuss few common SEO (search engine optimization) little mistakesThis few wrong SEO tricks will down the visibility of your blog in search engine result page. Because, by doing the right SEO, will increase Google page rank and increase traffic to your blog/website. So you must avoid these SEO mistakes to make descent traffic to your blog or website. Some webmasters used to display their content inside the images. Search engines will not be able to read the content inside images. Even though the Flash can make an exciting blog, search engines can’t read the content inside the flash. You can make up your blog by flash scripts but never add your content inside the flash scripts. Use HTML instead of flash. 4. Usage of Search engine friendly URLs rather than human friendly URLs. Never use automated software for directory submission. They will consider them as spams. Your blog will get banned from those directories. Use manual submission as an alternative. Submit to well-established directories by using unique Titles and Descriptions. Then they will not consider as copies. This is a time wasting program. No value. You will get nothing. Other thing is your link will be removed after few days without informing you. I did this for this blog and got nothing. Once you use same title and Meta descriptions for all the posts the search engines will consider all the posts as one post. Then your whole site will not index. So use different Meta tags for different posts. But never use inappropriate Meta descriptions. Place key words inside the content. Your key words should match with your content. Key words should summarize the content of your article. Your content should be high in quality. Low quality and duplicated content is penalizing by search engines and you will get nothing by just posting that type of content. SEO is not a quick way to increase traffic to your blog. You need to be patience in order to get results. Sometimes it takes weeks to months to get the desired effect. So you should have sustained motivation to work on SEO. Visitors don’t like to waste their time. So you must consider a good hosting plan to improve the loading time of your blog or website. These are the most common mistakes done by most of the bloggers and site owners. You have to learn and read that carefully. After that you just have to do the right SEO tricks and choose the right SEO tutorial for you to learn.